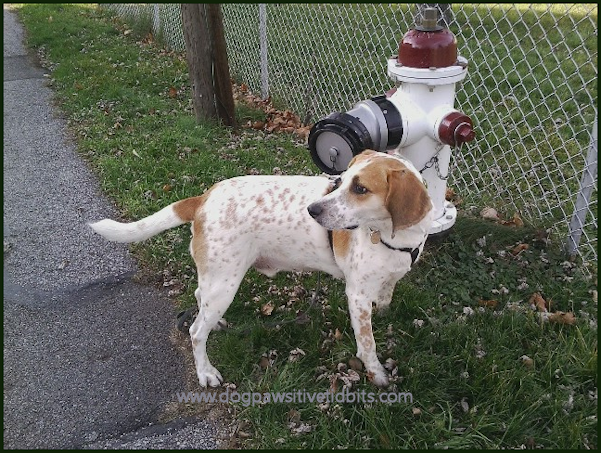 While the main purpose of fire hydrants is access to water for fighting fires in a community, there is an equally important purpose for hydrants for dogs -- a place to pee, or to leave their mark without barking their message. Like most dogs, my dog Valentino can not resist the urge to stop and sniff when he comes across a fire hydrant during our neighborhood dog walks. After a good sniff of every square inch of the fire hydrant he will generally sniff and stare at the air as if looking for the dogs that went before him. Next, my dog Valentino looks behind and around, seemingly to see if anyone may be watching him. But of course, I know what he will do next and I get my cell phone camera ready to capture the marking moment. 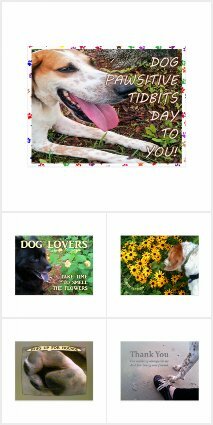 Naturally, once he reads the messages left from previous dog markings, Valentino must lift his hind leg to squirt a message of his own. It is a territorial thing as if to say, "This fire hydrant is now mine!" At least until another dog comes along with a similar message in mind. Ruth Cox is an Amazon Associate and may earn through purchases made via links in this article. I even found a DIY Fire Hydrant. Yes, if you are a crafty sort, you can repurpose plastic plumbing pieces to make your dog's very own PVC fire hydrant. 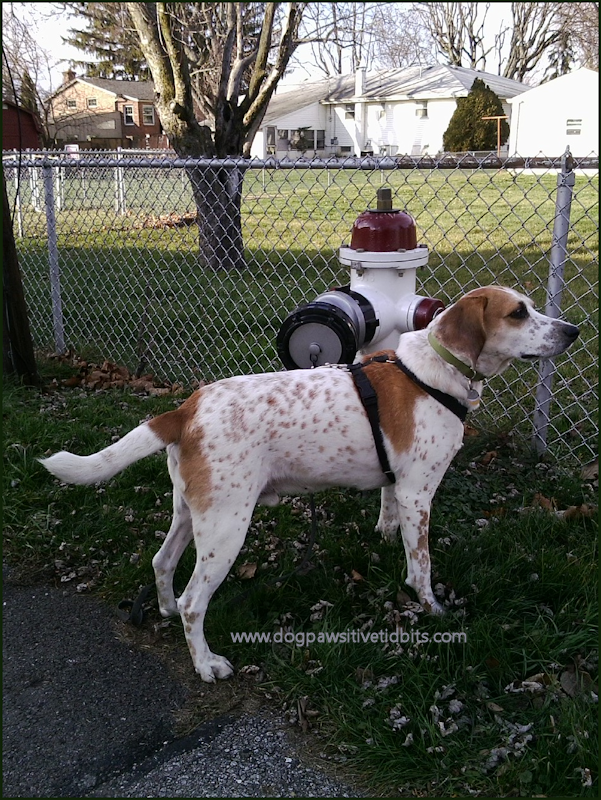 What dog would not want a fire hydrant in its own back yard? Do your dogs mark fire hydrants?